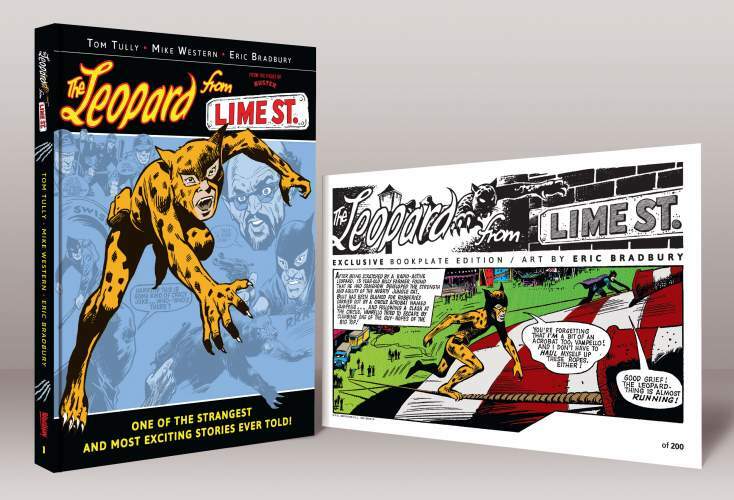 There are only 200 copies of this limited edition hardback for sale, includes numbered bookplate and art print. Variant 2 of 2 in the series. THE BIG CAT WHO PREYS ON CRIME! After being scratched by a radioactive leopard, young Billy Farmer soon discovered that he had acquired the strength, agility and senses of the mighty jungle cat. 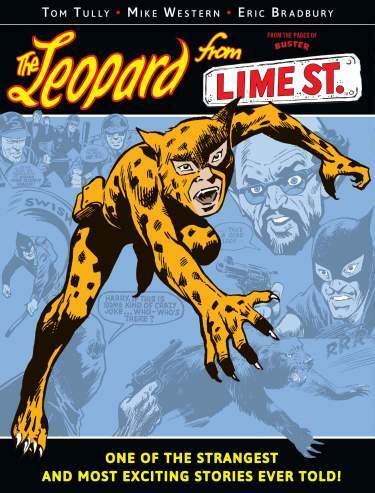 Creating a costume to disguise his identity, Billy became the masked vigilante known as the ‘Leopard-Man’ – Selbridge’s premier crime ﬁghter. Living with his aunt and mean uncle in a small house on Lime Street, Billy juggles his time between schoolwork and saving lives, earning some money on the side as a freelance photographer for the Selbridge Sun . Created by Tom Tully, Mike Western and Eric Bradbury, The Leopard from Lime Street, is the crown jewel of British superhero comic strips.